Choose a page to visit the recommended websites and find downloadable pictures. What was the biggest dinosaur? When was the ice age? Why did the dinosaurs die out? This fascinating book has all the answers and more. 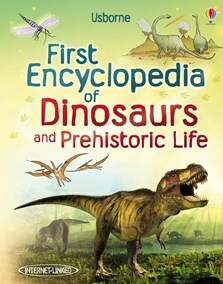 Simple, easy-to-read text and lively illustrations introduce children to the world of dinosaurs and prehistoric life. Links to exciting recommended websites make this a fantastic resource for use at home or school.